Arrive from 11am - Meet in the Coopers Tavern. Lots of beer on draught and close to the train station. 12:30 - Tour of The Maltings with Graeme Hamilton (this is pretty damn cool!). We would need a full list of names and shoe sizes for everyone for this. 2:00pm - The Dial - trial of Draught Blue Moon and Worthington Red Shield (Carling will also be available for those wishing to drink it in its home town). 3:00pm - White Shield Brewery Tour with Steve Wellington and Jo White (awesome). 4:00pm – Visit the National Brewery Centre. A buffet lunch (courtesy of Kristy!) in The Brewery Tap (we’ll need it by this stage) followed by a museum tour. Everyone gets samples of P2, Worthington E, Red Shield and White Shield to take away, so bring a bag if you want to take it home. 5:30pm - Head to Burton Bridge Brewery, maybe for a tour, definitely for some beers. 7:00pm - Wetmore Whistle (this is either a pub or an instruction, I’m not sure... either way, it means we drink more beer). The rest of the evening is ours to enjoy in Burton so if there are other recommended pubs then that’s the time to go. People can head off early evening like last time or they can stay over. We need to know in advance if you want to stay (we can get in William Worthington’s house and it’s self-service on a Sunday but that’s fine, I’m sure we can find somewhere to serve us breakfast - there are four single rooms at £35+VAT and two doubles at £50+VAT, there’s also the Three Queens for £55 a single, including breakfast – first come, first served for all). 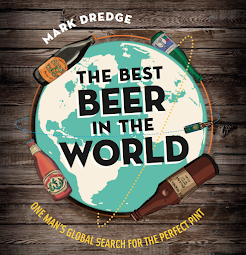 Remember, this is open to anyone who blogs or tweets about beer, but it would help if we knew exactly who is coming so can you drop your details into the form below (either here or on Andy’s blog), including whether you want a hotel or not and what your shoe size is for the maltings. We suggested a beer swap last time but we won’t do that in Burton, unless people arrange separately. There we are, get Saturday 15th May in the diary and book the train tickets. How does that sound?! Who’s coming along? Put in form twice - one for me, one for the OH who was at the last twissup with me - did you get them both? Count me in. I'll take one of those single rooms too please. Looking forward to it already! I'm in! Looking forward to it immensely. It's jolly decent of you to arrange another Twissup even closer to my house than the last one! I'm signed up and will make the same offer as on Twitter, if anyone wants to roll around Derby on the Sunday, I'll be happy to show you around. Forgot to mention. I'll be travelling up from London, so it would be cool to book the same train as others going via London. Is it possible to attend such a soiree and retain ones anonymity? Tania, check with Andy on that one to be sure. Chunk, I'll get my train tickets this weekend - I'll let you know the times, etc. I will be getting back to London for lunchtime on the Sunday, hopefully. Will text you when I'm sorting it. Cookie, no. Your cover will surely be blown if you attend! But there's a challenge for you - can you attend and not be discovered?! cookie now there's a challenge!! oh yeah Tania, both forms came through fine...thanks!! Gutted! I live about 8 miles from Burton but will be busy working that day! 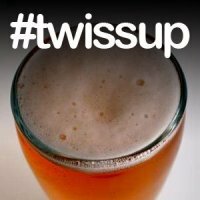 I have never been to a twissup but sounds great. I'll try to make one later in the year. Have a fun day guys. Good chance they'll be a Thornbridge beer at the coopers. Cheers Mark, that sounds good. Might as well book the same trains to make the journey part of the weekend! I'm planning on heading back Sunday lunch time too.